In her debut book, Deborah Levison tells the true story of a grisly discovery – and a family of Holocaust survivors forced to confront evil at their doorstep. Debbie Levison is an award-winning journalist and a director at Michael J. London & Associates, a strategic communications firm. 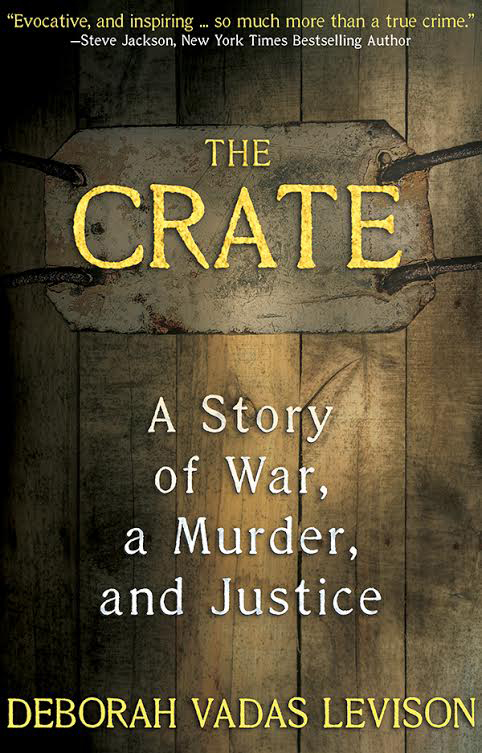 Her first book, The Crate: A Story of War, a Murder, and Justice, is set to launch in print, audio and e-book on June 19 and was selected as a finalist by the 2018 International Book Awards. The child of Holocaust survivors, she was born and raised in Toronto, Canada. She now lives in Connecticut with one husband, one dog, and three children. 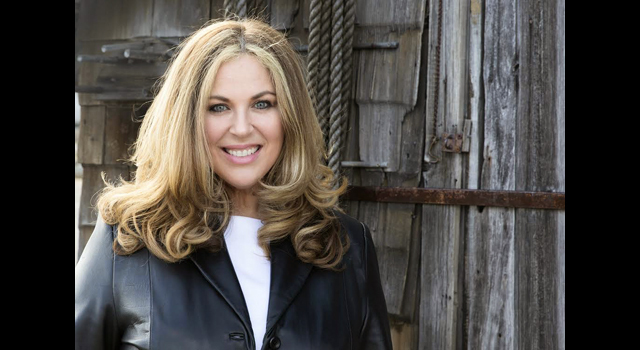 Recently, the Ledger spoke with Levison about her new book. JEWISH LEDGER (JL): Can you tell us about the title of the book – why The Crate? DEBORAH LEVISON (DL): The “crate” is both literal and metaphorical in the story in terms of its contents. After surviving the Holocaust, my parents immigrated, along with nearly 40,000 other Hungarian refugees, to Canada in 1956. Slowly, they settled into a new life. They never spoke of their past. They built themselves and their two children, my brother and me, a cozy little cottage on a lake north of Toronto, a cottage that became emblematic of their victory over the Nazis. It was a safe haven, a refuge from haunted memories. Fast forward to 2010. I’ll never forget the surreal feeling when my brother called to tell me the news of a murder. Whaaaat? He said a wooden crate had been discovered. It had been shoved into the dark, dank underbelly of our cottage, almost hidden from view. It had been opened. And inside was… awful. You can’t imagine the panic and the confusion in those first days after the discovery. We didn’t know if we’d been targeted in some way. We felt an enormous sense of violation. Our cottage is the place we all love best in the world, the place my parents had so lovingly crafted with their hands and their sweat … and it had been defiled. JL: Was anyone in your family a suspect? DL: My brother Peter was. He’d been there most often and most recently. As my parents aged, the rugged terrain at the cottage became more and more difficult for them to manage, and since I’d moved to Connecticut in the 1990s, I only made the pilgrimage back there once a year, in August. So for most of the season Peter and his family had the cottage to themselves. The police had a very compelling theory of how and why he’d committed the crime. It was like an episode of Law and Order. JL: You say the book questions how violence can alter the texture of relationships and awaken long-buried traumas. How did that manifest itself in your family? DL: Everyone in the family digested the news differently. The murder investigation, and the media circus that resulted, infuriated my brother. My husband and I were at odds as to whether we’d ever return to the cottage, and it drove something of a wedge between us. We had three young children to shield. My parents, meanwhile, were traumatized: they thought they’d never encounter violence again, certainly not up there in the peaceful woods. But the discovery of the crate under our cottage, with its horrific contents, dredged up all their terrible memories of what had happened to them in the past. We saw with stunning clarity that man is capable of unspeakable brutality. JL: Was this book difficult for you to write and for your family to read? DL: Well, it’s certainly not a book I ever expected to write. I never in a million years thought our family could be touched by the kind of crime you read about in the papers. Once we learned the victim’s identity and how the murder had transpired, it hit me: everything we were feeling – the fear, the horror, the anger – all of it paled in comparison to what the victim’s family must have been going through. I wanted to give the victim a voice and balance what the newspapers were reporting. I felt very mindful of that as I wrote. But even more importantly, I realized I had a unique opportunity to tell my parents’ Holocaust stories which, I feel, is critical. And I’ve already heard from other children of survivors that the commonalities resonate with them in terms of the “second generation” experience. Yes, the details were difficult in that I brought my parents’ pain to light. But the book is testimony. It’s a gift to my parents as much as it is to their grandchildren and future generations. How could I not write this book? My parents’ stories, along with all the others emanating from the Holocaust, must be preserved. And the memory of this victim deserves to be honored. I’m privileged to do both. 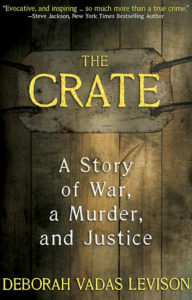 The Crate: A Story of War, a Murder, and Justice, is available for pre-order in bookstores and on Amazon, Barnes & Noble, and Goodreads. Visit www.debbielevison.com.